Ric Flair and Greg Valentine's first match as World Tag Team Champions saw them drop a non-title bout at the Memorial Auditorium in Greenville, South Carolina on January 3, 1977 to the duo of Wahoo McDaniel and “Mr. Wrestling,” Tim Woods. 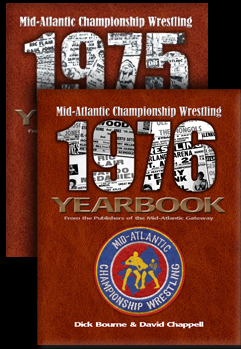 But, Flair and Valentine were impressive in early title defenses, battling combinations comprised of top-flight talent including Wahoo, Paul Jones, Rufus R. Jones and Tiger Conway during the month of January 1977. 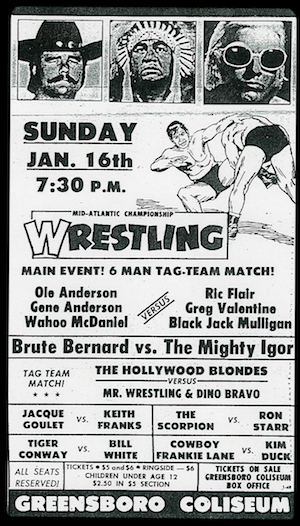 Another wild match involving the new champs occurred in Greensboro, North Carolina on January 16, 1977 when Ric and Greg joined forces with the mammoth Blackjack Mulligan to battle the Andersons and Wahoo McDaniel! The roof nearly came off the building when Gene, Ole and Wahoo were awarded a victory in a match where all of the participants were bloody messes. 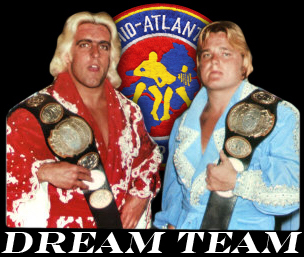 The “Dream Team” started back defending their World Tag Team belts on March 5, 1977 at the Roanoke Civic Center in Roanoke, Virginia against the formidable duo of Paul Jones and Rufus R. Jones. 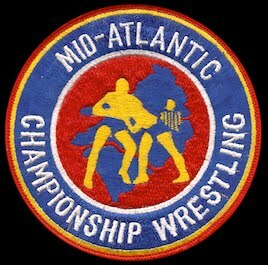 For the remainder of the month of March, 1977, Valentine and Flair successfully defended against several teams that included the great Mid-Atlantic veteran, Johnny Weaver. This happened principally because Valentine had injured Weaver several months previously, and Johnny was seeking his revenge on Greg. 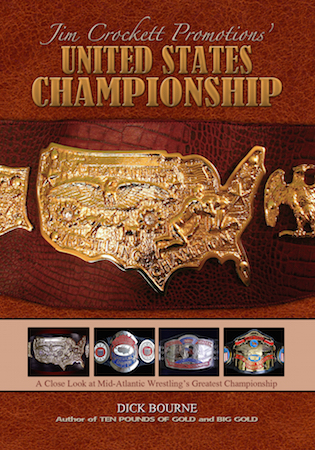 Valentine and Flair dominated the March matches that involved Weaver, whipping Johnny and Paul Jones at the Charlotte Park Center on March 7th, and Weaver and Rufus R. “Freight Train” Jones twice, at Raleigh’s Dorton Arena on March 15th and at the Greenville Memorial Auditorium on March 21st. Though lopsided result-wise, the bouts were very entertaining as Johnny was after Valentine throughout, and several times nearly put “The Hammer” to sleep with his vaunted sleeper hold! 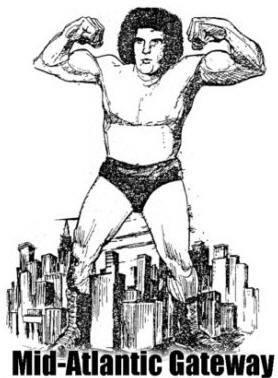 The “Dream Team” didn’t fare nearly so well at the end of March and early April of 1977, when the “Eighth Wonder of the World,” Andre the Giant made a pass through the Mid-Atlantic states! 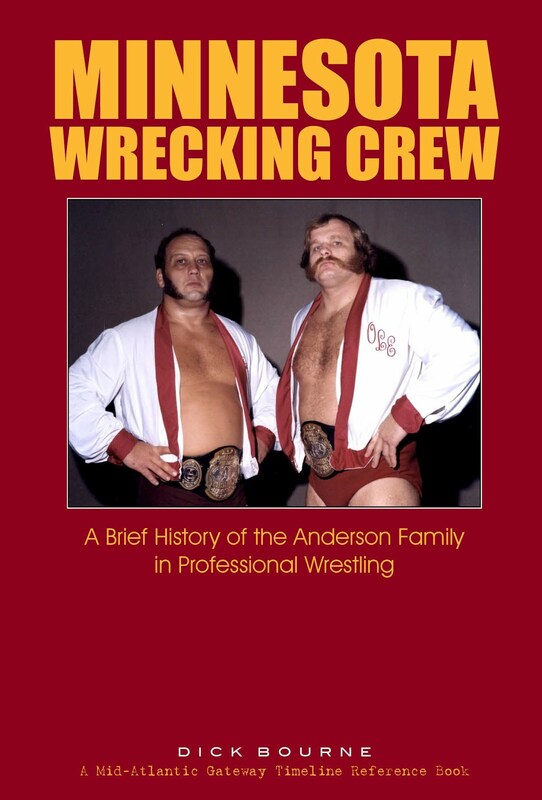 Andre teamed up with Wahoo McDaniel, and those two made life miserable for Ric and Greg! 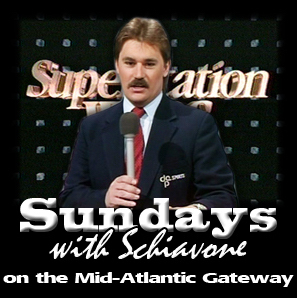 The champs were often seen running for their lives when they dropped non-title decisions to Andre and Wahoo on March 27th at the Charlotte Coliseum, and then again on April 1st in the Richmond Coliseum. Sandwiched in-between was a frenzied no contest result between the same four at the Township Auditorium in Columbia, South Carolina on March 27th. 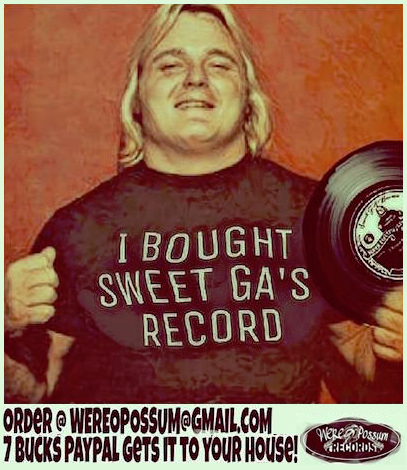 April of 1977 saw Valentine and Flair continue their mastery of teams that included the revenge-seeking Johnny Weaver. 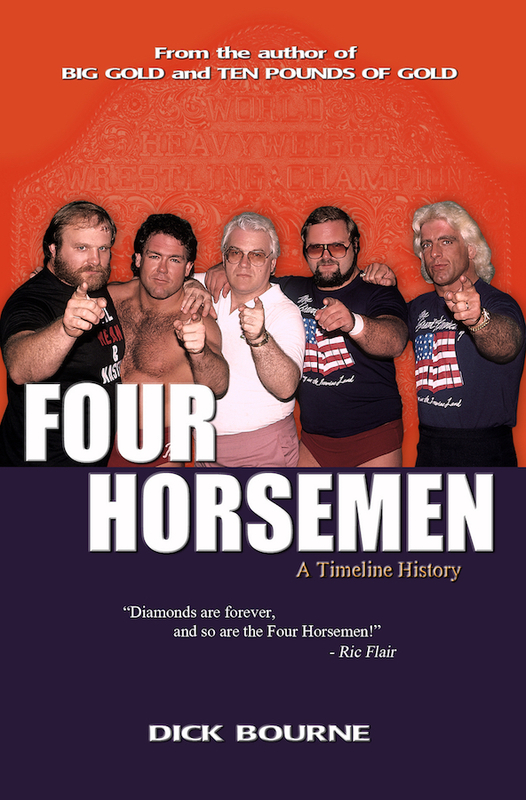 During the month of April, Ric and Greg defeated Johnny and a slew of his partners that included Rufus R. Jones, Thunderbolt Patterson, Wahoo McDaniel and Bobo Brazil. But speaking of Brazil, the World champs had a much tougher time when Bobo teamed up with “Chief” Wahoo. 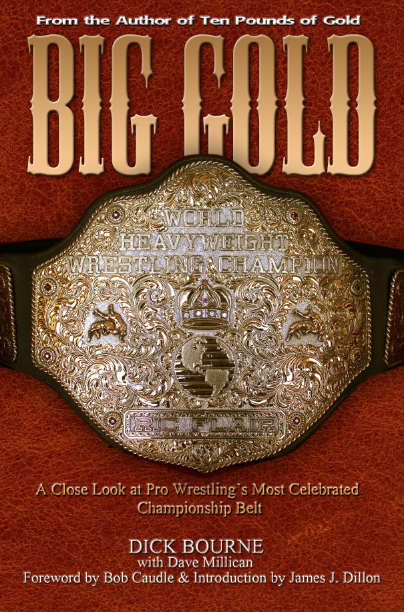 On April 23rd in Spartanburg, South Carolina and then again in Fayetteville, North Carolina on May 2nd, Valentine and Flair dropped hard-fought decisions to Wahoo and Bobo, but still emerged from those battles with their World belts intact. 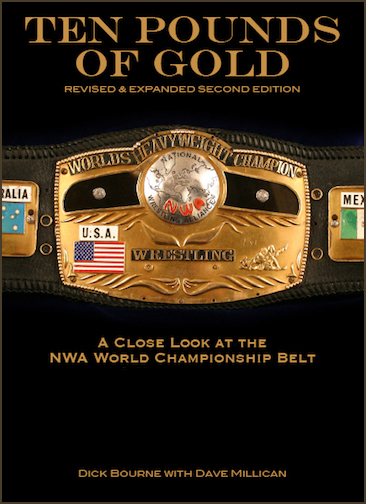 The immediate past NWA World Tag Team Champions, the Anderson Brothers, came up from Georgia a couple of times during the month of April to try and reclaim the belts they lost on December 26, 1976. 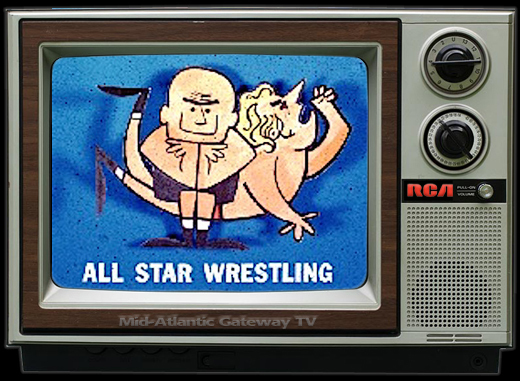 On April 2nd at the Hampton Coliseum in Hampton, Virginia and on April 10th at the Charlotte Coliseum the four arch-rivals squared off again for the biggest prize in tag team wrestling! 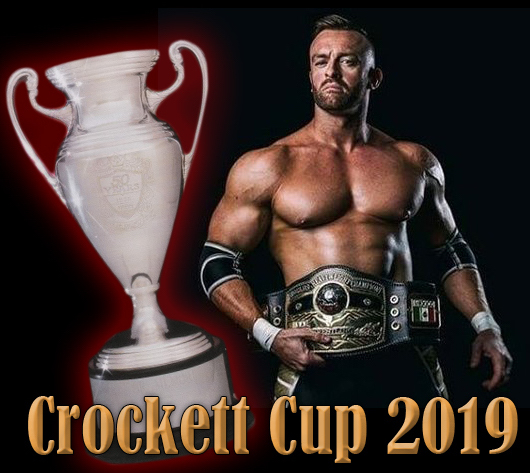 The two bouts were again classic confrontations, with Greg and Ric eking out bloody wins. As great as these matches were, they paled in comparison to what was to come early in the month of May 1977 between these two top teams. The specter of Wahoo McDaniel again loomed large as the Andersons once more headed north, in early May of 1977, in another bid to reclaim the World Tag Team Titles. 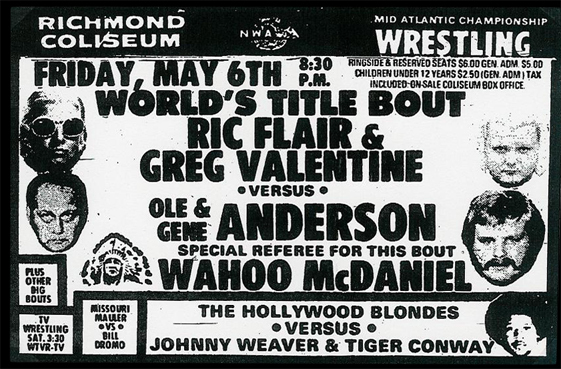 On May 6th in Richmond, Virginia the Andersons were again able to secure the services of Wahoo McDaniel to be the special referee for two upcoming Title matches against Flair and Valentine! As expected, the Champions thought the selection of Wahoo as the referee was an out-and-out conspiracy to take their World Titles away from them. While Wahoo’s actions didn’t directly result in the final decision in the Richmond bout, which went to a draw, his presence was definitely felt and it seemed clear that the “Chief” was going to come into play further if he was ever involved with these four again as a special referee. And it didn’t take long at all for that scenario to come to pass in a very big way! STAY TUNED FOR PART 3: THE SHOWDOWN IN CHARLOTTE! 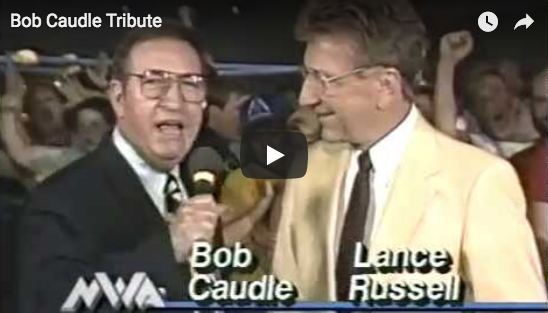 IN A STEEL CAGE!